Day 4: The Long and Winding Road – The San Francisco Bay Trail: It's Closer Than You Think! The Long and Winding Road – a beautiful song indeed and one of my all-time Beatle favorites. About a mile into my hike today I found myself singing (and humming where I couldn’t remember the words) this classic melody and when I stopped sing-humming, Paul’s melodic voice seemed to jump in where I left off. Not a bad earworm to be stricken with on a twelve mile hike. Paradise Drive out of the east side of Tiburon is long and windy to say the least and I was initially a little hesitant to take it on due to the limited roadside space for walking. However, by the time I reached Corte Madera, I could safely say that I felt safe on about ninety-nine percent of Paradise Drive – as long as I was aware of what was coming up behind me. Now don’t go grabbing the family and heading out for a hike and a picnic here. Since today was a Monday, traffic was limited to construction workers and an occasional cyclist or two. It is a very different story on weekends and holidays. I would rate this road as “adult only” for hiking and plan on hiking single file in most places if it is more than a party of one. Otherwise plan on biking it or pack the family into the Prius and drive to Paradise Beach – and don’t forget your wallet because there is a $10 entry fee. 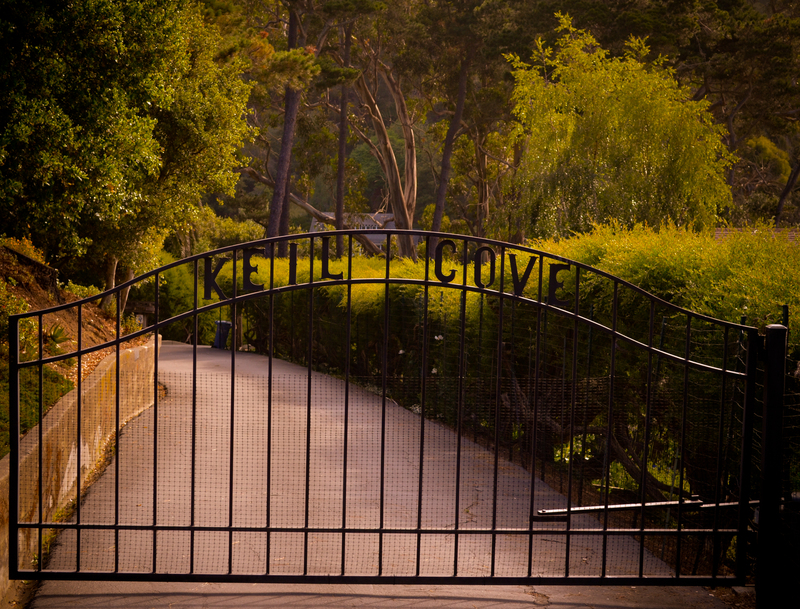 While access to Keil Cove is still limited, there is much to be enjoyed off Paradise Drive that is not gated. Besides Paradise Beach, try hiking the Tiburon Uplands Nature Preserve, accessible via a path roughly two miles from downtown Tiburon on the west side of the road. Ring Mountain, about eight miles north of Tiburon or about a mile and a half south of Corte Madera also offers an excellent off street trek to take in views. As I made my way toward the home stretch and with the Larkspur Ferry Terminal beckoning, I found myself surprised by the pristine beauty of the Corte Madera State Ecological Preserve. Surprised because it is not where you would expect to find such ecological diversity. A notorious prison across the bay on one side, a shopping mall on the other and a warehouse district at one end does not scream snowy egrets, great blue herons and baby ducklings. Yet that is exactly what I found as my day on the Bay Trail came to a close. With those images engraved solidly in my mind, I packed up my camera and made my way to Larkspur where I scanned my Clipper card, boarded the Golden Gate Ferry with ten minutes to spare and settled in for what turned out to be a very quick ride home!